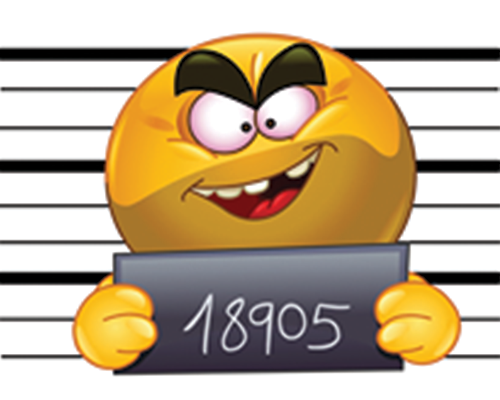 Send a smiley snap shot with this Mug Shot Smiley! So, how was your weekend? If you wound up in some hot water, this pugnacious smiley can express what you mean. 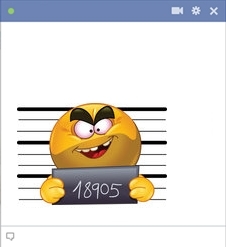 If you did something bad or had a bit of trouble, use this smiley to inform your Facebook friends of your behavior. Hopefully you’re not really messaging from jail though! 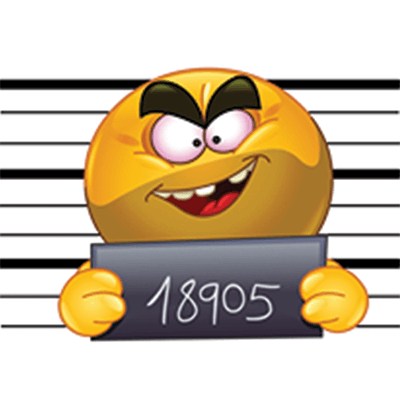 - Full list of Facebook emoticons.